Don’t forget to look up. I say this to myself when I am in the ‘home place’. 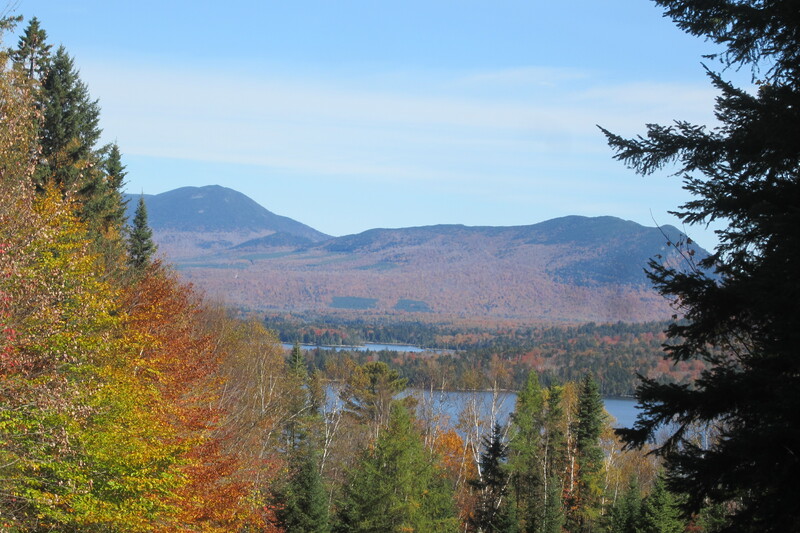 Greenville, Maine is a beautiful picturesque town with mountains, lakes, rivers and forests. But here, as everywhere, there are things that must be done so it is easy to be busy. There is wood to stack, windows to clean, dishes to wash, card games to play and so on and so forth, as Gramps would say. And I need to get my daily run in. I enjoy these wonderfully normal moments of everyday life but sometimes I forget to look at the beauty all around me. So this week at the end of a run as I was walking up the last hill, I purposely turned around and looked up to see this. Amazing. Beautiful. Lovely. Truly awesome. I think the beauty of this place is a reflection and reminder of the Creator. I will lift up my eyes to the hills, says the Psalmist; My help comes from the maker of all. As I look at all the beauty around me I realize I need to look up with more than my eyes. Like how about my heart, my soul, my mind. It is easy to get all caught up in the everyday circumstances of life. I am in that muddled state on a regular basis. So look up, I say to myself. Look up …..at Jesus on the cross. See his love. Look up…at the Risen Christ. See his power. Look up …..at the Author and Completer of your faith, the Lover of your soul, the Keeper of your heart. So I am looking up and sighing and resting and smiling and laughing with thanksgiving and joy. He is more amazing than his creation, more beautiful than the stars, more lovely than the most exquisite flower. He is powerful, and loving and truly awesome. There is a phrase in Pidgin English that expresses the superlative in a simple and clear way. Bilong winim ol. The nth degree. The most. The extreme. That is the God we look up to. He is good and powerful and just and loving – bilong winim ol! I was thinking about all this while on my way to visit a friend this week and the song, Turn Your eyes upon Jesus just happened providentially played on the radio. So I have been singing it both reviewing and anticipating God’s kind and never-ending work in my life. The first verse begins, O soul, are you weary and troubled? I have been making up new verses to fit my day. Oh soul, are you muddled and harried? Oh soul, are you sad and worried? Oh soul, are you happy, busy, hurting, rejoicing, desperate? Every day’s story is unique and different with an infinite number of circumstances or choices. But the chorus is always the same…. Yes, indeed. Whatever your story is today, don’t forget to look up.